TimberTech® Less Work. More Life. railing solutions, available nationally through a network of lumberyards and building-products distributors. "The Beauty of Real Wood Preserved for a Lifetime!" . Commercial wall & roof applications to provide “ci” continuous insulation within the building envelope. Pre-insulated, Pre-fabricated & precut, nationwide delivery to the jobsite. Made from renewable resources PBS is a true "Green" company, delivering Superior R-Values. Insulated concrete sandwich wall system. Tilt-Up, Pre Cast/ Prestressed, Modular Precast & Poured in Place. Mezzanine wood paneling systems for warehouses and industrial facilities. Environmental Decking, Structural Lumber, Site Furniture and Custom Products. RENEW Plastics from N.E.W. Plastics Corp.
A leader in sustainable plastics technology since 1968. Plastic lumber, and components made from other prime and recycled material. The most realistic & durable composite shake shingle on the market. manufactured from recycled rubber and plastic. Innovative vinyl decking and components. Manufacturer of wood veneer products. ENDURABOARD "Build it once, built for life"
The first and only mineral based composite lumber for decking. Superior building systems for roofs, walls and floors . retail/dealer, site-built construction, manufactured housing and industrial markets. Plywood, decking, finishes, fasteners and other marine products. Riviera, Florida, Riviera, Windsor, North Carolina, Albion, Michigan. Energy saving, pre-Insulated, Roof, Wall & Header framing systems. Adobe panels, cottage, cedar shake, designer shake & premium lap siding. A revolutionary wood alternative for many applications. Concrete forming panels, industrial panels, signage, rim board, soffit and fascia . Plastic lumber and furniture for all your outdoor needs and then some. A stocking wholesale distributor of high quality Hardwood Veneer Plywood and related panel products. Reading, Pennsylvania & New Castle Delaware. Manufacturer of architectural porch railing, molding and ceiling products. 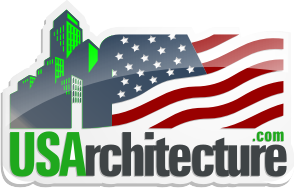 architectural specialties for both residential and commercial buildings. Specialty mouldings & architectural millwork. Interior & exterior trim & mouldings shutter components, windows & doors . porch posts and specialty vinyl items. Load bearing composite fiberglass bases columns, capitals & poles.